Catherine McAuley founded the Sisters of Mercy in Dublin, Ireland, in 1831 in a brave attempt to improve the conditions of many women. Poverty was a significant issue in Ireland at the time, and as other women joined Catherine, the works of the Sisters of Mercy included the education of the poor, the visitation of the sick, and the training of young women. 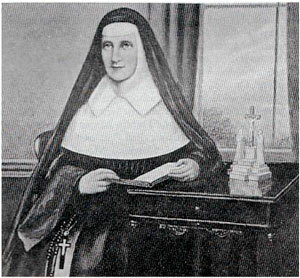 Catherine McAuley prepared young Ellen Whitty for her religious Profession, and they came to have mutual respect and affection for each another. As she lay dying in November 1841, Catherine specifically asked that Sister Mary Vincent remain at her bedside. Mother Catherine commended her various penitential items to the young sister to be secretly burned, and entrusted the care of the Novices to her in the codicil of her will. I had the consolation – for it is a pleasing though melancholy consolation – to read the last prayers for her, close her eyes, and that mouth from which I have received so much instruction. In September 1827 Catherine McAuley established a ‘House of Mercy’ in Baggot Street, Dublin, Ireland. There she and several companions provided food, clothing, housing and education for many of Dublin’s poor women and young girls. In 1831, with the approval of Archbishop Daniel Murray, she and her first companions founded the Congregation of Sisters of Mercy, the house in Baggot Street serving as its first convent. Over the then next ten years, as new co-workers presented themselves, thirteen other convents, two of them in England, were established. Invitations to found further convents were by now reaching Baggot Street from many parts of the world. Catherine died a holy death on 11 November, 1841. Within a few decades her congregation had spread worldwide. It is still one of the largest congregations of women religious in the Church. On 9 April, 1990, by decree of Pope John Paul II, Catherine McAuley, Foundress of the Sisters of Mercy, was declared Venerable, in recognition of her holy life, her love of God and her merciful work among the poor. This is a major step in naming her a saint. Born in Olygate County Wexford on 1 March 1819, Ellen Whitty was the third youngest of the six children of William and Johanna Whitty. 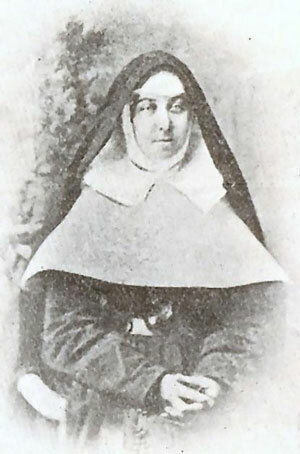 Ellen entered the Sisters of Mercy in Dublin in 1839, taking the name Sister Mary Vincent. Catherine McAuley prepared Ellen and her novitiate companions for their Profession in August 1841, and Ellen nursed Catherine in the weeks before her death in November of that year. Ellen’s leadership and personal qualities were quickly recognised – she was appointed Bursar of the Baggot Street Motherhouse in 1843 and Mistress of Novices in 1844. In 1849, she was elected the fourth Reverend Mother of Baggot Street. During her six years in that office, she founded five new houses, established three institutions in Dublin for the care of underprivileged women and children, began planning and fund-raising for the Dublin Mater Hospital, and organised for a group of Sisters to go as nurses to Crimea. In 1860, she volunteered to be part of a group of Sisters to accompany Bishop James Quinn to his newly created Diocese of Brisbane which, at that time, covered the whole of Queensland. Appointed leader of the group, Mother Vincent was quick to respond to the needs of the fledgling colony. Although deposed as Reverend Mother by Quinn in 1863, she was instrumental, over the thirty years of her life in Queensland, in establishing a network of Mercy schools and social institutions from Townsville in the north to Stanthorpe in the south and westward to Roma. In a decidedly sectarian era, she welcomed Catholics and Protestants alike into these facilities and people from a wide cross-section of the Queensland community knew her concern for their welfare. Her educational curriculum extended beyond the three R’s to include music, needlework, painting and drawing – accomplishments highly valued by young women of the time. Mother Vincent died on 9th March 1892. She had been a capable administrator, and displayed great faith and courage in the face of difficulty. Her obituary records gentleness and perseverance as her two strong characteristics. She also had a great capacity for friendship and was loved and revered not only by Sisters of Mercy throughout the English-speaking world, but also by a host of friends who mourned her passing deeply. Jane Gorry, born in Ipswich on 16 February, 1844, was educated by the Benedictine Sisters at Subiaco, Sydney. Jane joined the Sisters of Mercy on 24 May, 1862, the first of a long line of young women from Queensland who became Sisters of Mercy. Following an initial period of training (Postulancy) Jane was received as a novice, taking the name Sr Mary de Sales. She was professed at St Stephen’s Cathedral during the first High Mass in Queensland. Sr Mary de Sales was a much loved teacher and teacher-educator at St Stephen School and at All Hallows School. 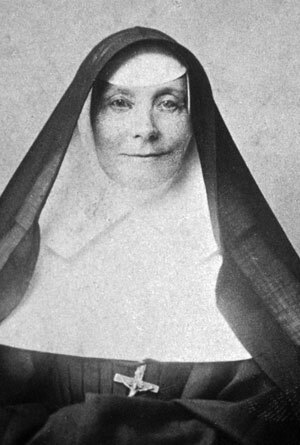 She accompanied Mother Vincent Whitty to Sydney, Melbourne and Geelong and Goulburn to meet other Sisters of Mercy and to see firsthand their welfare institutions. Not surprisingly, she was appointed the first Superior of the Rockhampton Foundation in 1873. When Rockhampton became a separate diocese in 1882, she returned to Brisbane where she was appointed Superior at Maryborough and Dalby. She spent her last few years at All Hallows Convent. She died suddenly from a stroke in 1891, aged 47, a gracious woman of competence and wisdom. 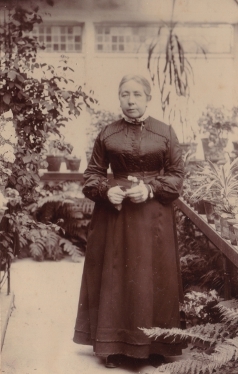 Florence Honoria O’Reilly was an heiress, inspired by the Sisters’ story, who came to Brisbane in 1872. Renting accommodation on the grounds of All Hallows’, she used her financial skills to establish investments and assist with Mercy institutions. Two key ventures were: farmland in Samford Valley, and sugarcane in the Johnstone River District – the former for a seminary, the latter for education. Florence cleared debts on Adderton and St Vincent's Orphanage; and ensured that Holy Cross, Wooloowin, opened debt free.